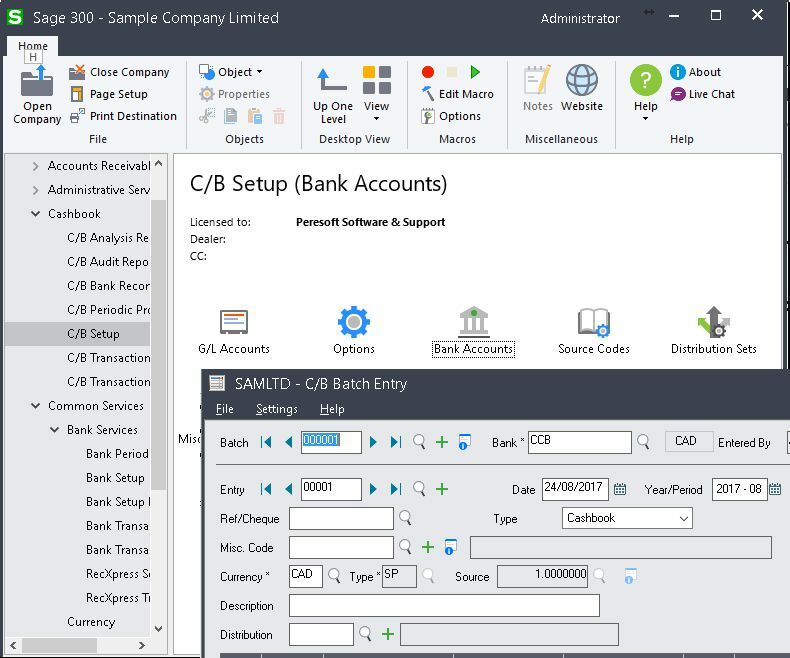 Peresoft is proud to announce the release of Cashbook, RecXpress and EFTXpress for Sage 300 2019. Cashbook 300 2019 features continued modernization of the technical architecture, and a new global search utility improving visibility across your entire system. Enter a reference, description, bank code and Global Search will find transactions or records across your entire database including Cashbook. You can search for people, companies, transactions, accounts, and many other types of records. Global Search is a powerful but streamlined search tool that you can open from the desktop ribbon at the top of the screen. Cashbook's Global Search function is available to Cashbook users who have Transaction Enquiry rights.